In order to understand how to play the game you must start with the basics. The basics of dome hockey include an understanding of the table and the various parts that make up the game. The information below will help you understand the small nuances of the game that most beginner players overlook when they start to learn the game. The table consists of a stand either made out of a pedestal stand or 4 legs, a table surface, 12 rods connected to a total of 12 players, an electronic score counter and a dome enclosing the top. The rods can be pushed in and out of the table in order to maneuver the men on the table surface. Each man has a fixed placement on the table they can move, making the game challenging because you must use multiple players to play offense or defense. 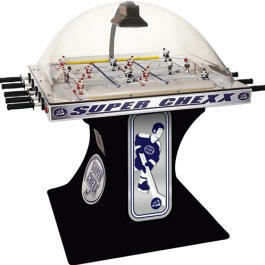 There are a total of 6 players that make up a bubble hockey team. 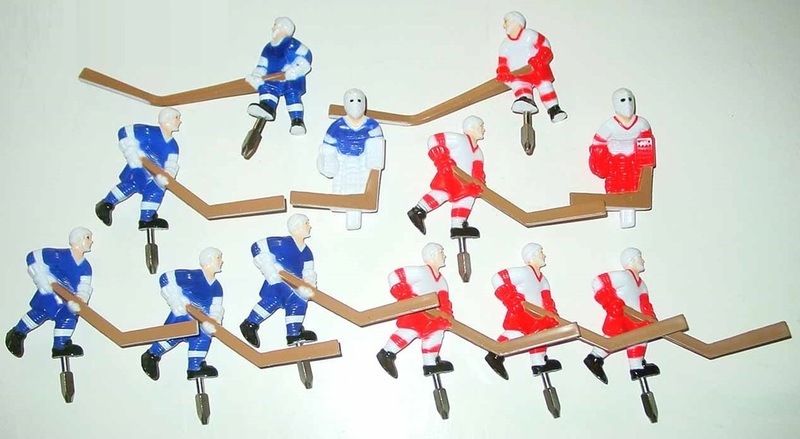 Each team has a single goalie, 4 short stick men and 1 long stick man. The long stick man is known as the right winger and sits on the offensive side of the table on the right "wing". 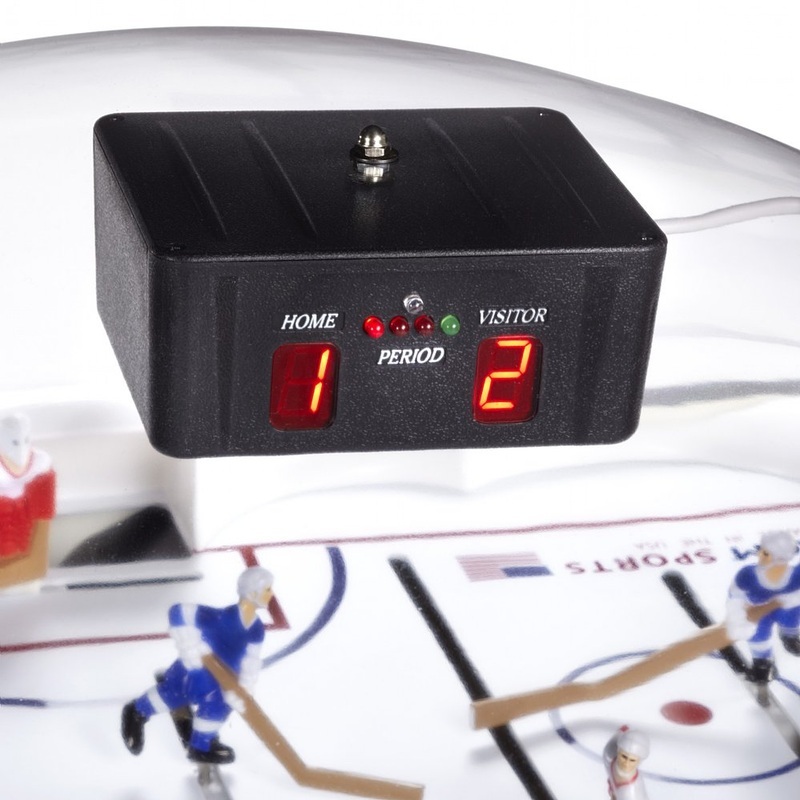 One nice feature of most modern bubble hockey tables is the electronic scoring unit that mounts to the top of the bubble. This mechanism is tied to a sensor on the back of the goalie net and will calculate the score when a puck hits the net. The electronic scorer also serves the purpose of the game clock. The game clock is broken down into 3 periods that can vary in timing depending on your table brand. BubbleAirHockey.com is a participant in the Amazon Services LLC Associates Program, an affiliate advertising program designed to provide a means for sites to earn advertising fees by advertising and linking to Amazon.com.